Größe: one size Is your size unavailable? 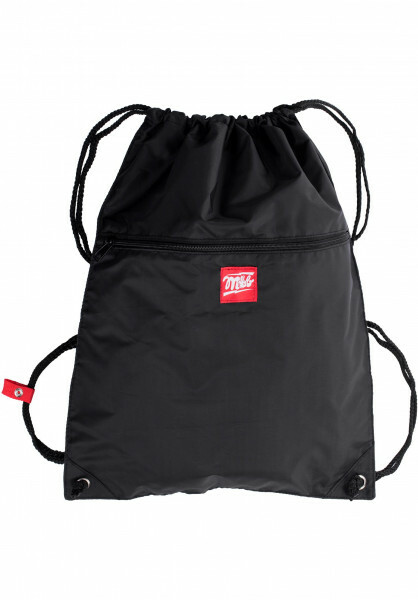 The Propper Gym Bag from MOB Skateboards is perfect for day trips or short distances, particularly when you only wanna bring a clean change of clothes with you. The crew from Gießen, Germany even gave their gym bag an extra, separate pocket with a zipper so you can have easy access to small items. The drawstrings can even been snapped together with a practical clip on one of the straps - perfect for when you're in action or at your next session! A square label patch with a stylish, simple look completes this solid Propper Gym Bag. sehr praktischer Beutel, der auch einiges an Spritzwasser aushält: einem Dauerregen allerdings ist er nicht gewachsen. Besonderes Highlight ist die separate Tasche an der Front um schnellen Zugriff auf wichtige Kleinigkeiten zu haben. Top! DIE Gymbag für Skater. Kann ich nur empfehlen!